Basketball first introduced to the boys of St. Vincent’s School C.B.S, Glasnevin in 1958 when Brother O’Farrell erected a set of baskets in the school yard. 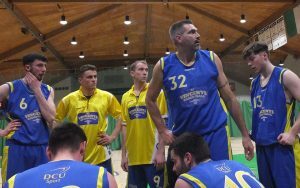 First coach was Brendan Buckley who after two years returned to his native Tralee. In Septe mber 1961 Bill Casey took over when Brendan finished and with full co-operation from Brother Burke, the school Principle, the first successful St. Vincent’s team was produced in the Under 14 Grade League. On this initial success the present large and expending club was formed. The club first registered with the ABBA in September 1962 and it’s success comes directly as a result to the efforts made by individual players to coach the boys at the school over the following 20 years. 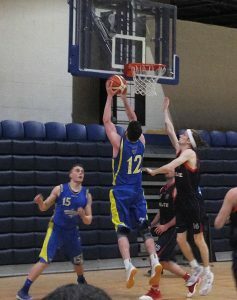 Based in Glasnevin on Dublin’s North Side, St Vincent’s/DCU Saints is one of Ireland’s oldest and most successful basketball clubs with teams from kids academy level (Little Saints) all the way up to U18, Dublin League Divisions 1, 2 and 5, and our Men’s Superleague team The DCU Saints. Our home is St Vincent’s school in Glasnevin, Dublin 11, with the Superleague team now based in DCU Sports Complex.